Finally, many of these accidents in Massachusetts occur on the job. The business has the obligation to teach its employees how to move about the job site. Whether it is small walkways or dangerous construction sites. 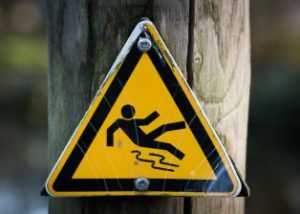 Failure in job training which leads to an injury will also result in the employer being held liable for those injuries. If you or your family member has been injured in a slip-and-fall accident in Massachusetts, call the Law Offices of Jeffrey S. Glassman anytime at (617) 367-2900 for your case consultation.